SEDL researchers are advancing literacy research through two randomized controlled trials of well-known reading programs. Literacy is the foundation of academic success, and an effective reading curriculum can play a crucial role in helping students learn to read. Identifying which reading programs are effective can be difficult, though, because the research base is limited. Moreover, few studies of reading programs have been large enough to generalize the findings across a variety of instructional settings. 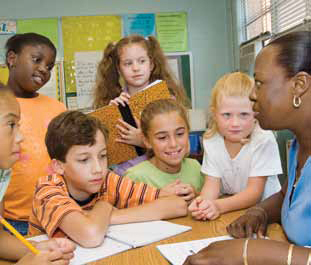 In 2009, SEDL's Research and Evaluation group worked to advance literacy research with the start of two randomized controlled trials (RCTs) of well-known reading programs. SEDL researchers are conducting the RCTs—the most rigorous research design for evaluating effectiveness—in partnership with other nationally recognized researchers and advisors. Michael Vaden-Kiernan, director of SEDL's Research and Evaluation group, is serving as principal investigator (PI) along with co-PI Geoffrey Borman, professor of education at the University of Wisconsin–Madison and deputy director of the university's Predoctoral Interdisciplinary Research Training Program. 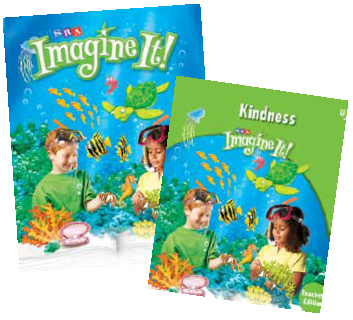 In July, SEDL began a 4-year national effectiveness study of McGraw-Hill Education's Imagine It! reading program. Imagine It! is the latest generation of the Open Court Reading series, a core reading curriculum that has been widely used in elementary schools since the 1960s. Promising findings from studies conducted over the past 3 decades suggest the Open Court Reading series can be effective in reading instruction, particularly with low-performing students. The program is thus well positioned for a scale-up evaluation, and SEDL's study is the first rigorous, large-scale evaluation of the series. "This is a much-needed and timely study to provide more rigorous evidence regarding the effectiveness of a reading program that has been scaled up to the national level," explains Vaden-Kiernan. SEDL's study will investigate whether Imagine It! shows significant positive effects on reading outcomes for students in kindergarten through fifth grade and how those effects vary across students, schools, and districts. One of the largest of its kind, the study will include approximately 60 schools within 15 districts in rural, urban, and suburban locations across the nation. In all, more than 5,000 students will be involved. This large-scale, national design will enable policymakers and administrators to apply the findings to a range of educational settings. In addition, the study will provide educators with strong evidence to guide adoption decisions. Dan Caton, executive vice president of Learning Service Centers at McGraw-Hill, says that "with this extensive SEDL study, we are drawing on such a huge pool of resources, and this research is being taken to the next level. This is a unique opportunity to partner with a research institution as impressive as SEDL." First-year planning activities included recruiting districts, developing and validating research instruments, and collaborating with program developers to verify implementation strategies. Data collection is scheduled to begin in Fall 2010. SEDL's study of Passport Reading Journeys will evaluate whether students using the curriculum show greater advances in reading than students who participate in other elective course offerings. In October, SEDL began a 4-year independent evaluation of the Passport Reading Journeys program's use with striving adolescent readers in Louisiana. The state was one of eight to receive a Striving Readers grant from the U.S. Department of Education. The Striving Readers program targets adolescents who are reading 2 or more years below grade level. In addition, the program seeks to build the research base by identifying the best strategies for increasing adolescent literacy. "The need to improve reading achievement among our older students is serious and real," says Jill Slack, director of the Literacy and Numeracy Initiative at the Louisiana Department of Education. Passport Reading Journeys is a supplemental reading program developed by Voyager Expanded Learning, and now owned by Cambium Learning Group, Inc. To date, 134 districts and 435 schools across 35 states have adopted the program. Under the Striving Readers grant, Louisiana will introduce Passport Reading Journeys to approximately 1,400 sixth and seventh graders in 10 middle schools across four districts. SEDL's study will evaluate whether students using the curriculum show greater advances in reading than students who participate in other elective course offerings. In addition, SEDL will evaluate whether the program's impact varies according to factors such as students' grade, gender, race/ ethnicity, and reading level. "This opportunity," explains Vaden-Kiernan, "allows SEDL to continue its long-standing partnership with Louisiana's Department of Education to address the critical need to focus on adolescent literacy within the larger continuum of literacy education." First-year planning activities included refining the evaluation plan with assistance from Abt Associates, the technical advisors for the project, and developing instruments to measure teachers' implementation of the program. Data collection is scheduled to begin in Fall 2010. 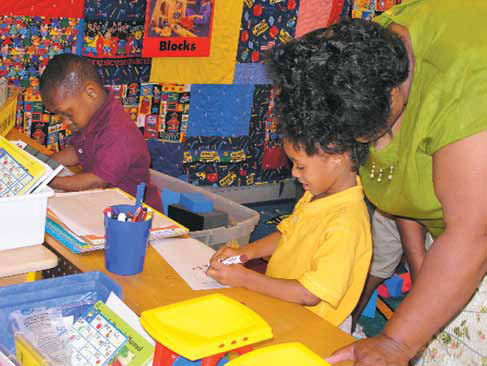 The future looks bright for three preschools in Madison Parish, Louisiana. The schools' participation in the Bright Futures Early Reading First Project demonstrates a positive effect on both teacher and student performance, according to second-year results of a 3-year SEDL evaluation. SEDL staff are supporting the Bright Futures project, which seeks to improve the school readiness of preschoolers from low-income homes, by providing teachers and others with professional development in research-based literacy instruction and language development. The latest evaluation findings show statistically significant improvements in the quality of teachers' literacy instruction and in students' vocabulary skills, phonological awareness, print awareness, and alphabet knowledge. A paraprofessional at a Madison Parish preschool engages students in the writing center.